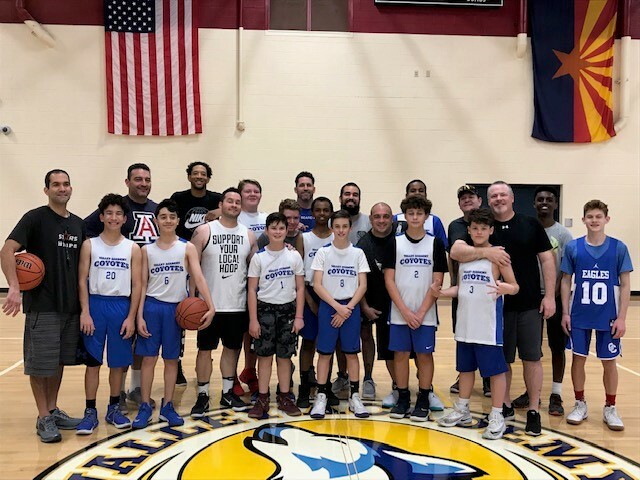 The RTS Valley Academy boys’ basketball team marked the end of their season by inviting their dads to the Coyote home court for a pick-up game. It was great fun after a season of hard work. The dads played hard, but the Coyotes were unstoppable!